We missed Saturday this year. As I get older, I find my memory is fading, we got confused on the date of the beloved Sublette show and set up only on Sunday. This used to be just a one day event, but the crowds deigned it large enough to support a two day show a year or two back. Anyway, we were set up in the Firehouse like usual on the coldest, most blustery day in a while, but the sky was clear, the friends were dear and we enjoyed the camaraderie and friendship that builds up after coming to an event for years and years. 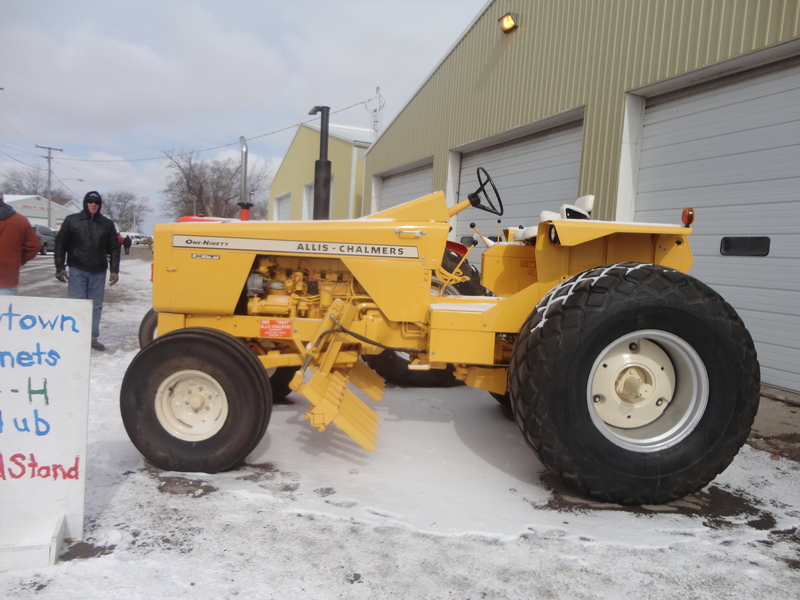 This year’s featured tractor was Allis Chalmers and the one pictured is the beautiful Beachmaster that was also at the Half Century of Progress. This tractor was used with a magnet to comb the beach of Lake Michigan in Chicago, she is a pretty special girl. There were other lovely tractors and tons of toys. My favorite toy ever was Bill Berghorn’s very neat Doepke Euclid bottom dump. I personally thought the toy had a Thrifty Farmer look to it although my husband disagreed. Looking over details for coverage for Farm World where I write an antique machinery column I found out that Sublette also has two amazing car shows each year and that the fall one the third week in September features Kaiser Frazer and Willys-Overland vehicles. Who knew? If not in the fields, I will check this event out. For more information about the Sublette show check out the Sublette website at http://www.allischalmers.com.